On 8th of November, Latcraft hosted it’s last event this year – a panel discussion about cloud platforms, featuring Anton Kaspiarovich, Filips Jelisejevs, Yevhen Duma, Eduards Sizovs and moderated by Andrey Adamovich. Gazzillion cloud providers let you deliver your applications and infrastructure faster and often at lower costs. This time at LatCraft, we would like to have a discussion with varios cloud experts around benefits and pitfalls of cloud platforms, is it worth investing into private cloud or public clouds offer all you need, and what is cloud after all. 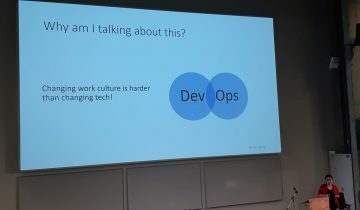 Join DevOps meetup on 28th of June! 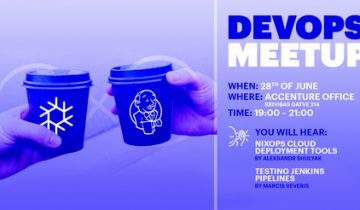 Join DevOps meetup on 26th of March! 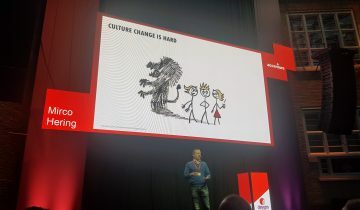 Protector99 on DevOps meetup on 26th of April! 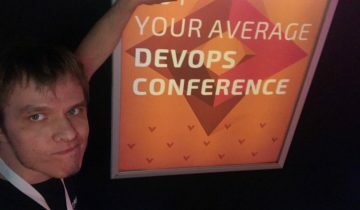 noreply on Latvia has translated DevOps!